Mike is a criminal that wants to leave the Liberty City with his old friend Vinnie, but their plans are not going to be performed. Vinnie dies to the car bomb and the adventure of Mike begins. Grand Theft Auto is the popular game series that was developed long time ago and still popular to enormous amount of gamers. 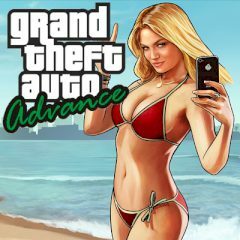 Play GTA Advance and see how it's all started with and what advantages the game had at that time. Play for a small-time criminal that went into huge troubles after his friend died.